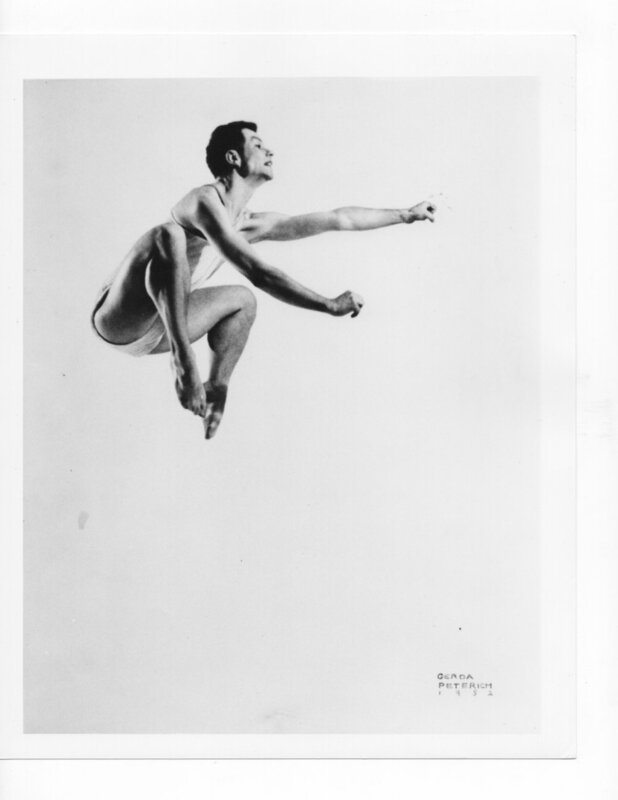 Pictured above: Merce Cunningham in Sixteen Dances for Soloist and Company of Three (1951). Photo credit: Gerda Peterich (1952). Signals from the West: Bay Area Artists in Conversation with Merce Cunningham at 100 is a bicoastal collaboration with the Merce Cunningham Trust, ODC Theater and SFMOMA’s Open Space as part of the international celebration of the Cunningham centennial. Signals from the West has commissioned ten Bay Area artists from diverse disciplines and backgrounds to participate in a residency August 12-23, 2019 with former Cunningham dancers Rashaun Mitchell and Silas Riener and create new works of art in response to this experience. These commissioned works will premiere, alongside excerpts of Cunningham repertory performed by Bay Area dancers selected through a workshop with Mitchell and Riener, at ODC Theater November 8 & 9, 2019. SFMOMA’s Open Space will commission an online series in conjunction with the program. -- Katherine Profeta, Dramaturgy in Motion: At Work on Dance and Movement Performance, University of Wisconsin Press (2015), page 66 (discussing Andre Lepecki’s ‘The Body as Archive: Will to Re-Enact and the Afterlives of Dances,’ Dance Research Journal 42, No. 2 (Winter 2010)). What different forms can artistic lineage take? Who and how does lineage exclude? How does responding to someone else’s lineage/practice influence or challenge your own voice? How does artmaking rooted in one particular body differ from artmaking rooted in hybrid, collaborative and/or multidisciplinary authorship? What is the relationship between abstraction and cultural identity? Advocacy for the continued vitality of the Bay Area’s diverse mix of artistic expression is central to the mission of Open Space. We’re interested in what it means to speak of and from this place, in this time — and we believe that this conversation happens not in a vacuum but in relation to other places, and other times. We’re therefore delighted to be collaborating with the Merce Cunningham Trust, HMD’s Bridge Project, and ODC Theater to present Bay Area Artists Respond to Merce at 100, an interdisciplinary, intergenerational project that seeks to foster contemporary voices, create context for those voices, and reflect on how they relate to both the current moment and historical legacies. As ODC Theater is committed to contemporary artists, the creation of new performance and transmissions of dance, we look forward to participating in Bay Area Artists Respond to Merce at 100, a dialogic project, in which select dances from the repertoire of Cunningham are transmitted, transformed and generative of a live research process and development of new work. “The repertoire enacts embodied memory: performances, gestures, orality, movement, dance, singing - in short, all those acts usually thought of as ephemeral, nonreproducible knowledge. Repertoire, etymologically “a treasury, an inventory,” also allows for individual agency, referring also to “the finder, discoverer,” and meaning “to find out.” The repertoire requires presence: people participate in the production and reproduction of knowledge by “being there,” being a part of the transmission.” - Diana Taylor, The Archive and the Repertoire, Duke University Press (2003), page 20. Encountering Cunningham dances as passed by Rashaun Mitchell and Silas Riener, ten Bay Area artists across disciplines will employ their own artistic voices and collaborations, developing new works to be presented with reperformed pieces in situ. In this way, the residency serves as a place of deliberation between Cunningham and living artists who are immersed in the conditions and particularities of this moment. The Bridge Project approaches curating as a form of community organizing to facilitate equity-driven cultural conversations that cross discipline, geography, and perspective. The purposes of the Bridge Project are to create a creative commons for artists and to facilitate alliances among artists and activists in the struggle toward equity. Housed within SFMOMA’s Department of Community Engagement, Open Space is a W.A.G.E. Certified, interdisciplinary arts and culture platform. We are committed to diversity and collaboration, and dedicated to unruly, non-instrumentalized gestures. Anchored in the Bay Area, Open Space commissions and supports critical + experimental + poetic ruminations by artists, writers, and thinkers from all over the world, as well as hosting parties, performances, and other live events. The mission of the Merce Cunningham Trust is to carry Cunningham’s legacy into the future. The Trust preserves the recorded and physical works of Merce Cunningham and the Merce Cunningham Dance Company and offers classes and workshops in Cunningham's technique, repertory, and choreographic methods to dancers and the public, keeping interest and practice alive. HMD’s 2019 Bridge Project is a Merce Cunningham Centennial Community Program, supported by a generous grant from the Doris Duke Charitable Foundation. The Merce Cunningham Centennial and its programs are generously supported with major funding from the Merce Cunningham Trust, the Paul L. Wattis Foundation, the American Express Foundation and Judith Pisar. HMD’s 2019 Bridge Project has received additional support from ODC Theater, SFMOMA’s Open Space, the Kenneth Rainin Foundation, San Francisco’s Grants for the Arts and generous individual donors.